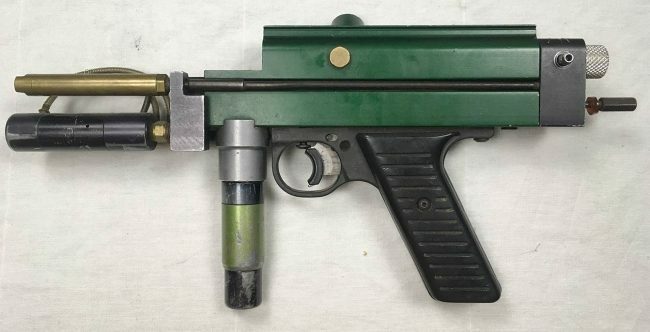 I purchased this Autococker last year from Darren Musick who was selling it from the collection of Frank DeLeone at Excessive Force Paintball in Hesperia, California, an hour north of SC Village. Frank past away last year and Darren has been helping Frank’s family sell off some of his collection. The right side of this Autococker body has a similar engraving to the nickel played Bud Orr Signature Series bodies but lacks the additional “Signature Series” engraving with only “Bud Orr Worr Game Products” engraved. Justin “Krusty” Hirsch’s Green Signature Series Autococker. 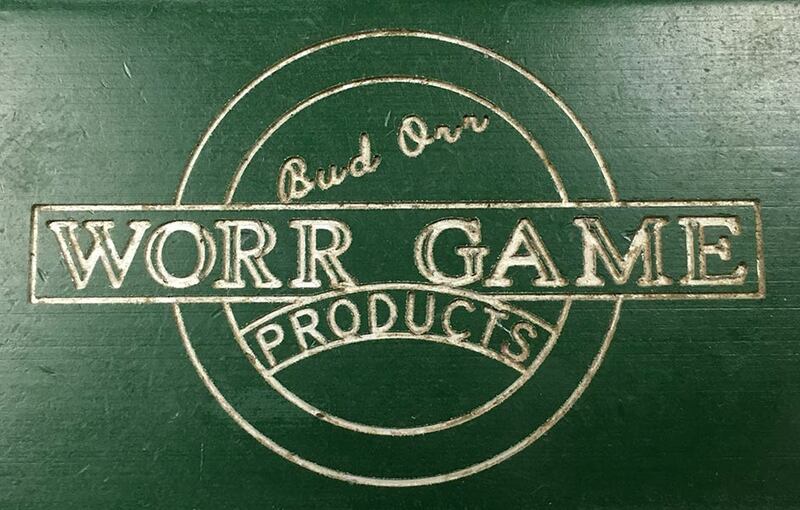 Some of these green bodies did feature the “Bud Orr Signature Series” engraving though. Pictured above is a photo from Justin “Krusty” Hirsch of the Psycho Clown Posse Paintball team. Hirsch sold this marker a while back but sent me photos of it in 2012. This marker was serial of 25046 (although it’s not clear in this photo). 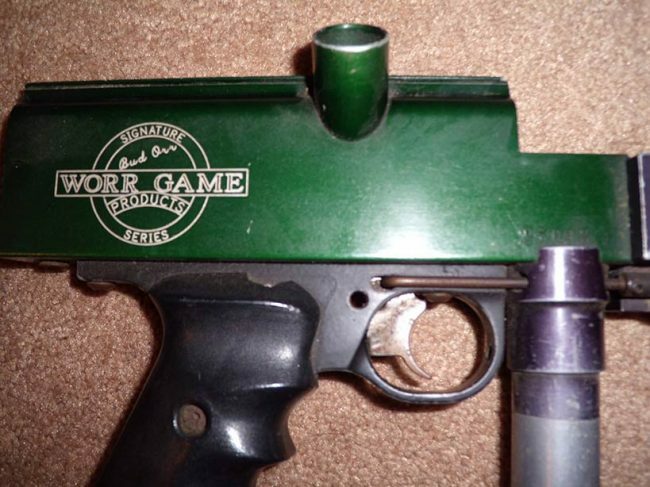 Left side of 1994/95 SC Village Rental Bud Orr Worr Game Products engraved Autococker. The green version of the “Signature Series” Autocockers were used as rentals at SC Village in 1994 or 95. 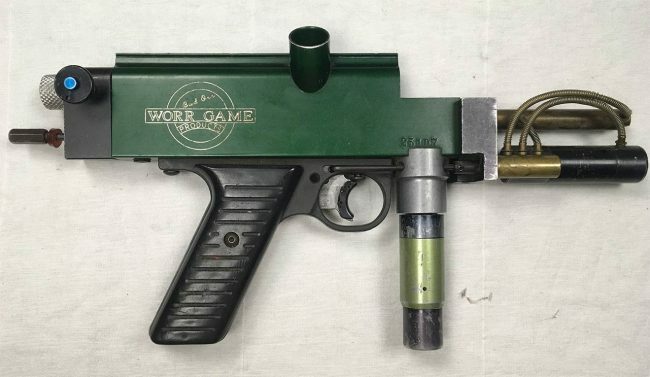 In a thread on facebook in the Old School Paintball guns group, Bud Orr confirms this writing, ” I rented guns like that out of my rental facility at SC Village.” Bud also mentions, “The rentals came out first if I recall correctly,” in regard to whether they came out before or after the chrome played “Signature Series” Autocockers. Green Autococker engraved with “Bud Orr Worr Game Products” engraving. These were rental markers at SC Village in the mid 1990s. These cockers were likely produced as rentals in late 1994 or early 1995 and this body is serial number is 25107 . The body is in great shape but everything else is beat. I suspect the body was a replacement on a rental set up and was going to be used as a rental but didn’t see much use after it was converted. 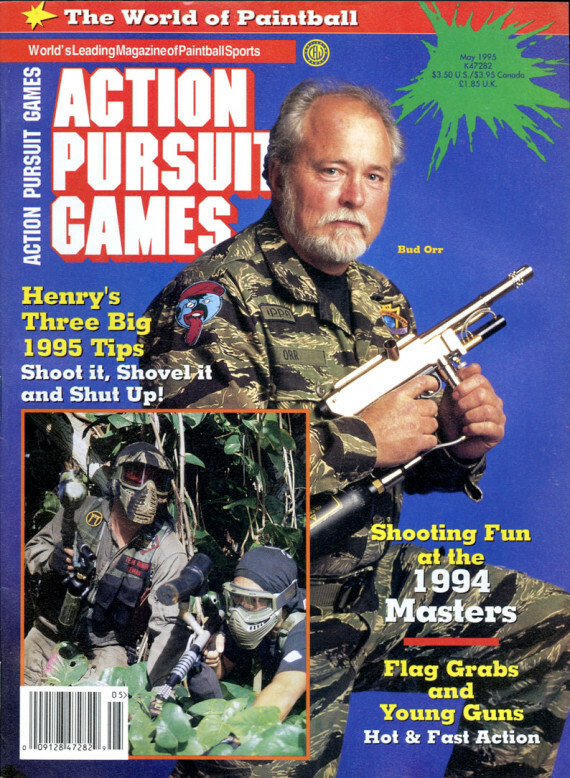 Bud Orr on the cover of the May 1995 issue of Action Pursuit Games, holding one of his signature series Autocockers. Bud Orr appeared on the cover of Action Pursuit Games in May of 1995 holding one of the chrome played Bud Orr Signature Series markers. Maybe these markers were built up as the rental markers but when the signature series markers were released WGP wanted to keep them exclusive and not confuse the rental markers with the upper end signature series? 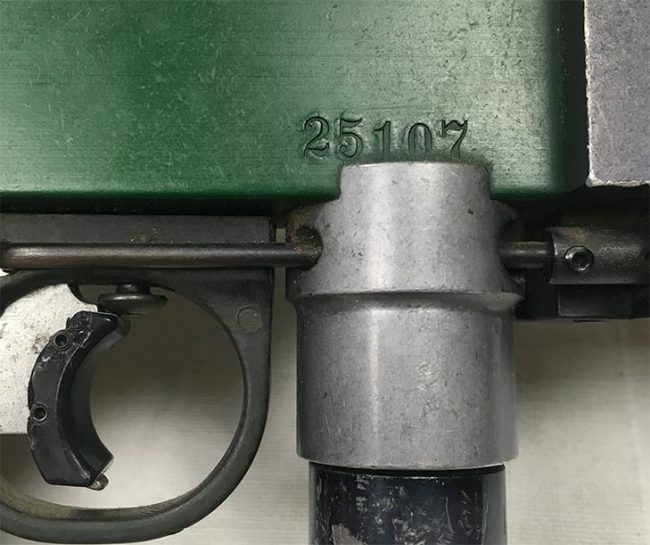 Serial number 25107 on the side of this green engraved Autococker. I also point out in the video that there is no lug adjustment slot on the top of this marker so it could be that for trouble shooting reasons these were replaced with more up to date cockers in 1995, rather than updated. In the video I mention I will be parting this marker out. What I meant was that I will be replacing the frame with a pot metal frame since I can’t stand the plastic/polymer frames.